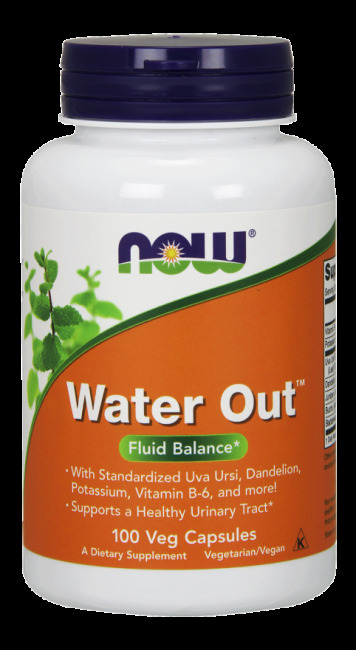 NOW® Water Out™ is a blend of complementary herbs and nutrients formulated to support healthy urinary tract function and proper bodily fluid balance. 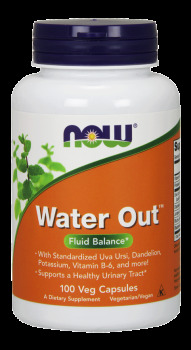 * Water Out™ features Dandelion, which has been traditionally used to support the maintenance of water equilibrium, as well as Uva Ursi and Juniper, which have been used historically by herbalists to support a healthy urinary tract. In combination with the nutritional components Vitamin B-6 and Potassium, Water Out™ represents a natural way to support proper urinary tract function.